Thanks for reading and commenting! 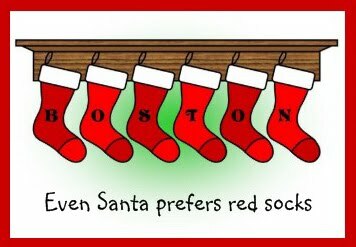 I wish everyone peace, happiness, and a World Series celebration at Fenway Park! Laura and I are off to Québec City and Montréal for several days - celebrating 25 years* of life together - so JoS will be dark until January 10 or so. 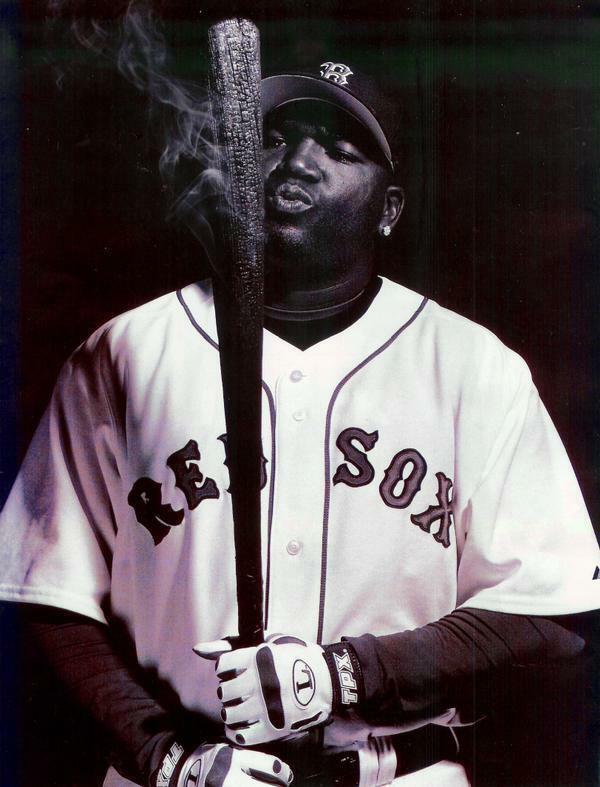 During his nine seasons with the Red Sox, David Ortiz built a reputation as the one player the team absolutely wanted at the plate with a chance to win the game in the bottom of the ninth or in extra innings. That was first evident during the 2004 ALCS against the Yankees, when Ortiz had two game-winning hits in less than 24 hours in two must-win games for the Red Sox. A few days earlier, Ortiz had sent the Angels home for the winter with an ALDS-clinching home run. In that post-season, he had three walk-off hits in a span of four home games. 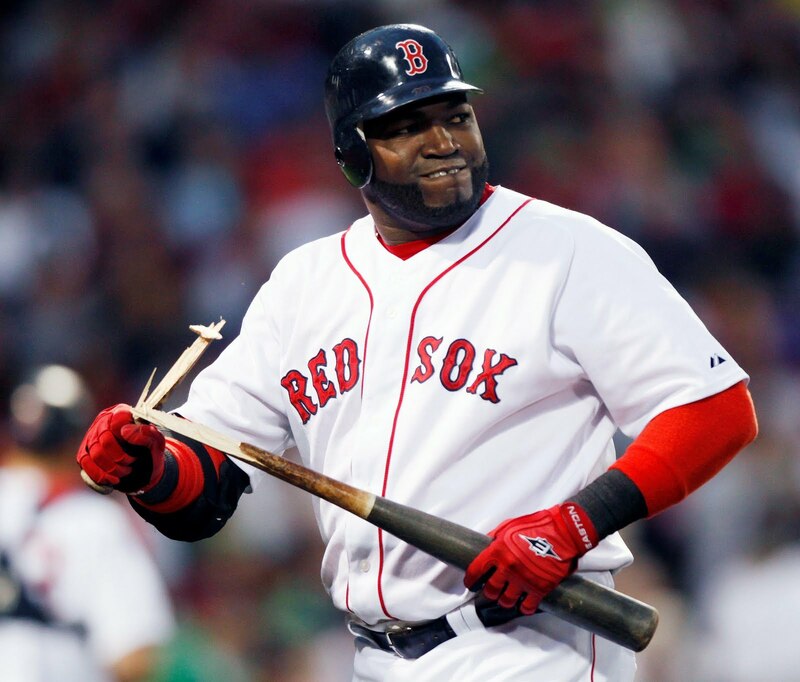 In 2005 and 2006, when Ortiz came to the plate at Fenway with a chance to win the game, he never made an out. That is barely an exaggeration. 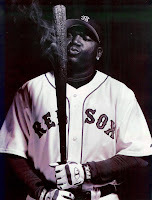 When I compiled the data for the first version of this post (August 1, 2006), I noted that since the end of the 2004 regular season through July 2006, Ortiz came to the plate 19 times in a walk-off situation - and made only three outs. He had a .786 average (11-for-14) with seven home runs and 20 RBI! His July 31, 2006 home run off Fausto Carmona may be my favourite non-playoff walk-off hit. Ortiz was on an amazing streak of winning games and had hit a game-winner only two days earlier. With Boston down by two and two on, I probably would have bet my year's salary on Ortiz winning the game if someone had asked. It felt like everyone in the park knew it would happen (and had played it out in their minds), including Carmona. Especially Carmona. He threw two balls to build a little tension and then - BAM! - Ortiz crushed a three-run homer. As I recall, I did not cheer. I just stared at the TV and laughed. 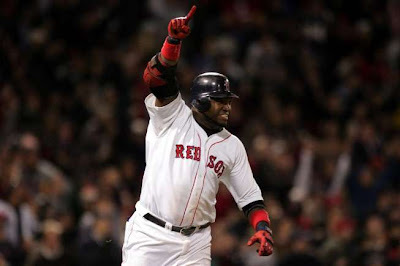 Ortiz may no longer be that guy, the slugger who makes pitchers quake in their cleats, but his past heroics remain in the back of everyone's mind when he comes to the plate, claps those big hands together, and digs in. A game-winning hit always seems (to me, anyway) extremely likely. Even with a drop-off in success in recent seasons, Ortiz's slash line of .404/.541/1.128 (1.669 OPS) is pretty damn impressive. * Ortiz hit a grand slam in the bottom of the ninth the day before, but the Tigers led 6-1, so the Red Sox still trailed by one run, and they lost the game 6-5. Following a tip from basketball star Kobe Bryant, Alex Rodriguez traveled to Germany this month for experimental treatments on his troublesome right knee and left shoulder, the Yankees confirmed on Wednesday. Orthokine involves taking blood from the patient's arm vein, incubating it at 37 degrees Celsius and then spinning it in a centrifuge to isolate protective proteins. That solution is then injected into the afflicted area once or twice a week; in this case, Rodriguez's knee and shoulder. The treatment is similar to the platelet rich plasma, or PRP, therapy that has been used by athletes - including Rodriguez - to treat joint pain and muscle injuries. Orthokine is said to have an anti-inflammatory, pain-reducing and cartilage-protecting effects, though its long-term viability is unknown. When Alex Rodriguez informed the Yankees last month that he was interested in traveling to Germany to pursue a fairly new medical procedure, they were understandably concerned. Twice in recent years team officials had been caught off guard when they learned that players under contract had undergone medical treatment of which they were not aware. One of those players was Rodriguez, who initially informed the Yankees in December 2009 that he had not been treated by Anthony Galea, a Toronto doctor who was under criminal investigation in the United States over suspicion that he had provided athletes with performance-enhancing drugs. This has to be at least somewhat alarming to the Yankees, even if they were on board with Rodriguez's visit to Germany ... Indeed, it's not the procedure so much that's in question, even if it is not believed to be approved in the United States, so much as the neon-sign reminder of what the Yankees could be in for over the next six years. Even if he's going the extra 4,000 miles or so in search of the best possible treatment for his knee, the real issue is whether it will make a difference. Over the last four seasons, Rodriguez has had hip and knee surgery, as well as lesser injury issues with his shoulder, thumb, and quadriceps and groin muscles. It seems unlikely that he can reverse that trend as he pushes toward 40. Perhaps more to the point, his trip to Germany indicates that A-Rod knows it. The Red Sox have acquired reliever Andrew Bailey from the Oakland A's, according to ESPN's Buster Olney. Boston also received outfielder Ryan Sweeney, who will be 27 next season. Going to Oakland is Josh Reddick - "a 25-year-old OF with a .293 OBP above Double-A", tweets Joe Sheehan - and two Class A minor leaguers: first baseman Miles Head and pitcher Raul Alcantera (#s 17 and 25, respectively, on Sox Prospects' list). Bailey, who will turn 28 on May 31, has three years experience in Oakland. He threw 83.1 innings in 2008, but only 49 and 41.2 innings the last two seasons. He missed the first two months of 2011 with a forearm strain. Over his career, he has averaged less than one baserunner per inning: 0.954. Back on December 11, the Globe's Nick Cafardo warned that Bailey's "save total has declined the past three years - from 26, 25, to 24 ...". OMGLOL!! Hideki Okajima has agreed with the Yankees on a minor league contract with an invitation to spring training. Okajima, 36, debuted with the Red Sox in 2007 and was superb for three seasons. The Japanese lefty helped Boston win a World Series championship in his rookie year, with a 2.22 ERA and a 0.971 WHIP. Things went south in 2010, however, and the Red Sox did not call him up last September despite his very solid numbers with the PawSox (2.29, 0.941), though that was seemingly a mutual decision. On April 20, 1912, the New York Yankees* played the Boston Red Sox at Fenway Park at 3 PM. 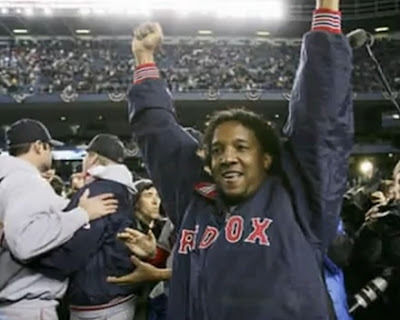 On April 20, 2012, the New York Yankees will play the Boston Red Sox at Fenway Park at 3 PM. * - The team was actually known as the Highlanders at that time. According to the Red Sox's Fenway Park 100 website, both teams will wear throwback 1912 uniforms for the rivals' first meeting of the season. Boston won that 1912 game, the first major league game played in the new park, 7-6 in 11 innings. Amelie Mancini is a painter and printmaker. She lives in Brooklyn and roots for the Mets. And she draws, carves, and prints baseball cards - one by one - on an ancient Washington hand press located in the basement of a church in Greenpoint. Future sets from Left Field Cards will include Edible All-Stars, Remarkable Mustaches, and Men With A Van. I'm originally a painter and I had just finished a big series of paintings about ballplayers as the modern gods and heros of our times which you can see here. After that series I wanted to do something very different, light, silly, easy, small. With painting the process is usually long and demanding. Printmaking seemed, to the novice I was, easy and fast, even if of course it's not that simple. The idea of baseball cards in a postcard size came naturally. I didn't see the point in simply listing the best players of all time so I went for the silly, quirky approach. 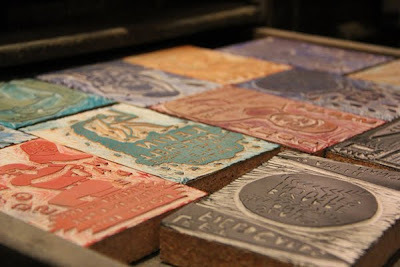 The cards are linocuts: they're printed from linoleum blocks that I carve after drawing on them. I then print them on a letterpress one by one. Everything is hand made, by me, one card at a time. On the back of the cards there is a postcard design with room for a note and stamp. The idea is that you can mail the cards to the baseball persons in your life, or frame them, whatever you like. I became a Mets fan after a couple of friends took me to Shea Stadium in September 2007 to see the Mets lose to the Phillies. I had no notion of baseball back then and spent the evening asking dumb questions and eating hot dogs, but I had lots of fun. It took me another year of watching games and talking to people and reading about it before I fully realize what a terrible mistake I had made by choosing the Mets. By then it was too late. I'm a loyal fan. This simulation has Boston leading the AL in runs scored, but finishing 10th in RA. I saw a post at Fangraphs about the deserted ball field at the corner of Michigan Avenue and Trumbull Avenue in Detroit and went and got my own pictures via Google Maps. Poignant, in a way, even beautiful, but also depressing as hell. If you click here and then click the "street view" picture on the left (with the black SUV in it), you can get views from around the block as the back grandstand was being torn down. Diane Firstman searches for a real-life "Casey at the Bat" ending to a baseball game ... and finds one - in May 1984! Long-time Philadelphia Daily News sportswriter Bill Conlin resigns amid multiple allegations of child molestation. Peter J. Nash continues his Hauls of Shame investigation into fraudulent Babe Ruth signatures. The 2011 Red Sox did not hit well with the bases loaded. An interview with Justin Masterson, who may or may not have a date with Botticelli's niece. Mike Fast has an in-depth look at the value of the hit-and-run, which Earl Weaver once called "the worst play in baseball". (h/t to Friend of JoS Matthew Kory at Over the Monster). Sox Prospects rank Cecchini and Bradley #12 and #20, respectively. Middlebrooks, Kalish, Iglesias, and Lavarnway are on the 40-man roster. Of these 10 players, only Middlebrooks and Lavarnway played at Double A or above last season. The Red Sox don't completely lack major league-ready prospects, but it's close. This is a function of a change in their draft strategy several years ago to focus on high school players. ... BA ranks on potential, not production. Which is how someone like Swihart, who has played two professional games and has a major league ETA of mid-2015 (according to SP) can be ranked so highly by BA. For what it's worth, here is Fangraphs' February 2011 list of Sox prospects. The Top 5: Iglesias, Drake Britton (LHP), Ranaudo, Josh Reddick, and Stolmy Pimentel (RHP). Red Sox manager Bobby Valentine said on Wednesday that he has decided on a new pitching coach and that the hiring will be announced as soon as a contract is signed. Also: Tim Bogar will be Valentine's bench coach and Jerry Royster will coach third base. 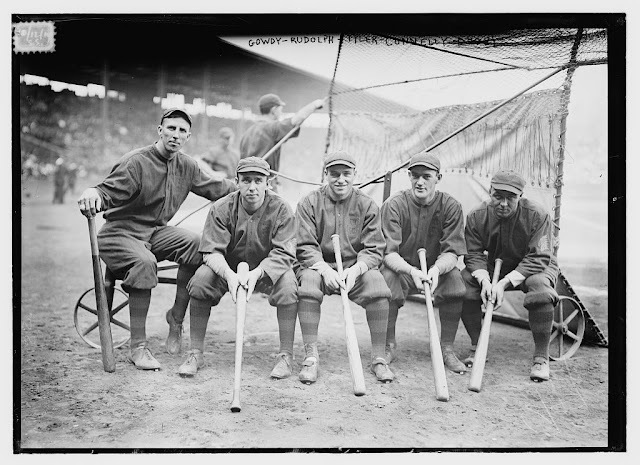 Non-baseball posts are now at my other (resurrected) blog. It is called Rivers of Suggestion, but I may re-title it Maps And Legends for 2012. I have a link to it over on the right-hand side of this page, by the wine-drinking gif, but it's not very clear what it is linking to. I told Ben [Cherington] when I heard [John] Lackey was having surgery and [Tim Wakefield] is a free agent, I saw two openings in the starting rotation. The last two years I haven't said it much, but in my own head, just watching the guys in this league that have had a lot of success in a starting role, I just felt like I could do that. I've got as good or better raw stuff as them. I try to keep myself in good shape. I felt like everything I have at this point, that I could have success in that role. So, I told Ben that. Then when [Jonathan Papelbon] signed with the Phillies, it was maybe a week or two after that, I kind of figured that whole starter thing would kind of subside. They may forget it even happened. I just figured once Pap was gone they wouldn't be taking me out of the 'pen as well. But it turns out they feel pretty strongly about me trying to be a starter, and I do, too. The Red Sox have kept a watchful eye on Bard's workload for the past two season and he has pitched 74.2 (1,131 pitches) and 73 innings (1,095 pitches) in 2010 and 2011, respectively. If the team is serious about him starting - and it could be just a bluff re the trade market - it is questionable whether he can double his innings pitched without experiencing arm trouble. With Bard in the running for a spot in the rotation, Bobby Valentine says Mark Melancon (who rooted for the Red Sox growing up in Denver pre-Rockies) is the frontrunner for the closer's job. Melancon's former manager, Houston's Brad Mills, says the 26-year-old has the stuff to be successful in the AL East. Once he sees that his stuff can play, and it is good enough to do it, once he sees it, then he'll take the ball and run with it. Melancon developed a cutter towards the end of last season and did not allow any runs in his last 11 appearances, giving up only three hits in 11.2 innings, while notching 15 strikeouts. The team has been calling around on other relievers as well, including Kansas City's Joakim Soria and Oakland's Andrew Bailey. They have also been talking to free agents Joe Saunders and Ryan Madson. Nick's a guy we've had interest in in the past and the timing has never quite worked out to get him here. He's a guy who plays really good defense, a smart baseball player. 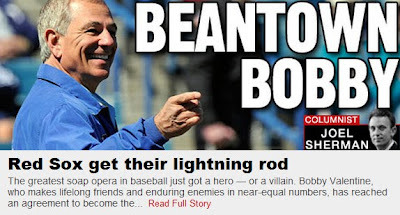 He gives you a good at-bat. He's really good in the clubhouse. He's just a smart, smart baseball player who understands his role on a winning team. "He gives you a good at-bat" is what you say when a player stays up there for eight pitches or so but finally makes an out. He saw some pitches, and maybe the pitcher worked a touch more than usual, but Punto has no power, so he's not gonna dong ... and anyway, it's still an out. It's the baseball equivalent of "She's got a nice personality". "Always Sold For The Boodle"
When contests were true, and the sight free to all, and home-runs in plenty were made? And easily hit, and then mount out of sight along with our cheers and our hat? And came in together. Four batters in all. Ah! That was the old game renowned. And gate-money music and seats all reserved is all that is left of the game. And not this new-fashioned affair always sold for the boodle they take at the gate. Found at John Thorn's blog, "Our Game"
Rogue Squadron defenseman Zung Nguyen, 37, was banned from the New England Senior Hockey League for life after he defecated in an opponent's glove following a fight on the ice. A co-worker/Leafs fan pointed me to the extremely entertaining comments here and here. The referees immediately declared the game a forfeit win for the Young Guns. At a league meeting the next Monday morning, the NESHL banned Nguyen for life, with no refund on his entry fee. The Red Sox and Yankees are going to have to crank the rivalry up a notch or two. Maybe this is how Punto can do something productive. [National League] President [John] Heydler kicked up quite a discussion [at the winter meetings] by suggesting a modification to the playing rules which provided for a batter for the pitcher. The substance of this amendment was not generally understood. It is the idea of President Heydler that if a manager wishes to make the choice of a batter to bat for his pitcher he may do so before the game begins, but if he names such a player, the player named may do nothing else, while the pitcher may remain in the game if this particular batter hits for him. The condition would resolve itself into a sort of tenth man who would step into the game to add spice and zest to it. As President Heydler sees the modern baseball game there is a strange interlude when the pitcher comes to bat. Most of the pitchers can't hit the side of a hay stack with a snow shovel and the spectators sit back in calm resignation when they see such a pitcher slowly wander towards the plate. Now and then that type of pitcher does make a safe hit and win a ball game and the next morning the newspapers chronicle the fact in large, black letters. If there is a pinch-batter for the pitcher, President Heydler thinks the dark cloud that fringes the silver lining will be removed and the fans will have as much opportunity to cheer and hurrah at the finish of the batting order as they have had at the beginning. Of course, if a manager wants a pitcher to go to bat that is something else and the pitcher will have a perfect right to go to bat. If the pitcher has nothing to do but pitch he will take good care of his arm and not bother about his legs which have not always been of much use to him. Members of the [American] League were reported not to be enthusiastic over the suggestion of President Heydler in the National League to supply a pinch-hitter for the pitcher. The suggestion, however, was not formally brought before the meeting and was discussed only in a casual way. Since the AL introduced the DH in 1973, it has undergone an evolution in the World Series. There was no DH in the 1973, 1974, and 1975 World Series. 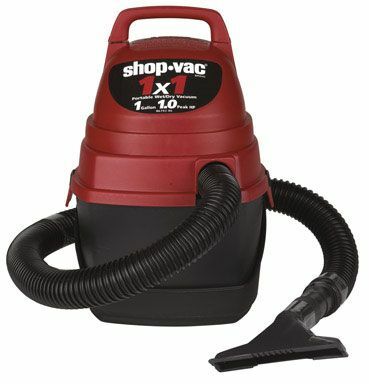 From 1976-19845, it was used only in even numbered years. From 19856 to the present, the DH has been used in games played in American League parks. The Red Sox have made a significant addition to their bullpen, acquiring righthanded reliever Mark Melancon from the Astros for infielder Jed Lowrie and reliever Kyle Weiland. Melancon, a hard-throwing 26-year-old had a 2.78 earned run average and 20 saves in 74.1 innings for Houston last season. He struck out 66 and walked 26. The Red Sox have signed veteran utilityman Nick Punto to a two-year contract, according to CBS Sports' Jon Heyman. The Red Sox have agreed on a one year, $1.35MM guaranteed contract with catcher Kelly Shoppach. The addition of Shoppach likely closes the book on Jason Varitek's Red Sox career. In addition to Jarrod Saltalamacchia, the Red Sox have both Ryan Lavarnway and Luis Exposito on the 40-man roster. Shoppach made his debut with Boston in 2005, but was traded to Cleveland in the Coco Crisp deal. Shoppach, who will be 32 in late April, hit an embarrassing .176/.268/.339/.607 in 253 PA for Tampa Bay last year (and had an equally bad OPS of .650 in 2010), but he can hit lefties - Joe Maddon actually gave him more PA against righties last year against whom he OPSed .431. If used properly, Shoppach and his .909 career OPS against LHP could make a decent platoon with Salty. Most stats taken from the SoSH thread. Also: The Red Sox signed Matt Albers to a one-year deal. Bobby Jenks underwent minor back surgery yesterday. As the 100th anniversary of Fenway Park draws near, Glenn Stout, co-author of Red Sox Century, brings us the definitive story of the Back Bay jewel's first season, which culminated in the Red Sox beating the New York Giants in one of the greatest World Series of all time. Led by veteran centerfielder Tris Speaker, manager and first baseman Jake Stahl, and pitcher Joe Wood (no relation, sadly), a young Red Sox team moved from the Huntington Avenue Grounds to the new park. Stout shows that the odd configurations of the park were not because of the existing city streets or the shape of the plot of existing land; if the team had wanted to make the park symmetrical, it could have. In the Deadball Era, hitting a worn-out baseball 300 feet was a moon shot. One writer, referring to the distance to the fence at Cincinnati's Redland Field - 360 feet - "it is doubtful a ball will ever be hit over the fence". Naturally, then, a Red Sox batter cleared the Wall almost immediately. On April 26, the fifth home game of the season, Hugh Bradley (a "free hitter" who swung from his heels) crushed a hanging curveball from Philadelphia A's pitcher Lefty Russell over the wall and (probably) onto the roof of a building on the other side of Lansdowne Street. Bradley hit a relatively new ball and may have had some help from the wind, but it was still a rare feat. The crowd, which had risen to its feet when Bradley first struck the ball, was stunned. A moment of silence was followed by whoops and yells and screams and hoots of delight. ... Bradley, meanwhile, raced around the bases, the notion of a "home run trot" completely foreign to him. ... The hit took the air out of the A's, for, as Wallace Goldsmith later noted, the blast did not "seem human." The A's bench jockeying stopped and [Hugh] Bedient didn't give up another hit as the Red Sox won, 7-6. Stout writes that while Fenway "is a place that many feel they know intimately, it is also a place that few people truly know very well in its original state". He offers extensive details on the construction of the park, like how the workers caught a huge break by finishing the major concrete work just before the winter's first blizzard. Stout also does an excellent job of describing the look of the park from the outside and the sensory and emotional act of entering this new space, walking down to the field, which was below street level, and the relation of the field to the various levels of the grandstand and the office windows in another section of the building. Stout tracks the origin of the term "Green Monster", finding sporadic references to the nickname in the early and mid-1960s, but determining that it came into widespread use only in the late 1980s. Before then, it was simply "the Wall". Stout also notes that it was built to prevent fans from watching games from the buildings across the street. Boston began the 1912 season 8-3 and 21-10, but dropped to 27-18, two games out of first place. At that point, they won 20 of their next 23 games, systematically mowing down the opposition for the rest of the year. In June, July, and August, they went a combined 62-24, a .721 winning percentage (a 117-win pace for a modern 162-game schedule). Pitching ace Joe Wood, 22, finally fulfilled his promise after two seasons plagued with injuries. Stout notes the young Wood was quick to blame his teammates when he lost close games and was considered "soft" for staying out too long with his injuries. Wood pitched in the Sox's biggest game of the season, a September 6 duel with Washington's Walter Johnson. Both pitchers had won 29 games to that point and the game was hyped nearly beyond measure. To say that Fenway officials oversold tickets to the game would be a gross understatement. The park held roughly 24,500 and attendance was estimated between 35,000 and 40,000. Thousands of patrons without seats stood deep in the outfield and in foul territory on each side of the infield. Wood finally decided to warm up [in front of the dugout]. 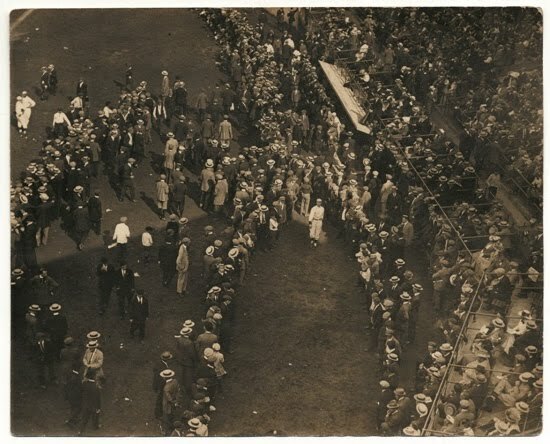 Hick Cady paced out sixty feet in foul ground between the diamond and the dugout and, with fans barely an arm's length away, Wood slowly began warming up. Walter Johnson did the same on the opposite side of the field. It was like trying to play catch on the subway platform at Park Station during rush hour. The crowd cleared a narrow corridor between the pitchers and their catchers, and the batteries started throwing the ball gingerly back and forth, Wood and Johnson taking care not to smack anyone in the jaw as they reached into their wind-up or throw the ball wild and knock someone unconscious. As they did the crowd peppered each man with questions and comments that each did his best to ignore, and heads turned back and forth en masse as the mob followed each toss and marveled at the speed of each pitch seen up close. Wood finished the season with a 34-5 record and a 1.91 ERA. (Johnson, 33-12, led the AL with a 1.39 ERA.) Those numbers sound sick today, but it was the Deadball Era and runs were scarce. Wood's ERA+ for 1912 was 179, in the same ballpark as the last two AL Cy Young-award winning seasons: Felix Hernandez (174) and Justin Verlander (170). Despite his celebrated summer, Wood was nearly the goat of the World Series for the Red Sox (105-47, still the greatest season in franchise history), who rallied to win an epic battle against John McGraw's New York Giants (103-48). In the end, Fred Snodgrass's dropped fly ball in the bottom of the 10th inning of Game 8 led to the Giants' defeat and the error followed Snodgrass to his grave. The 1912 Red Sox season had no shortage of terrific story lines, and Stout makes every one of them sing with crisp, vibrant writing. Stout packs his sentences and paragraphs with a lot of information, both essential and the quirky, but he keeps the narrative flowing almost conversationally. 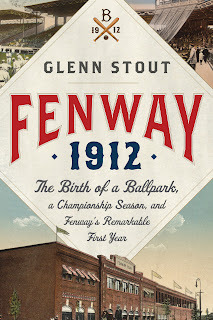 Fenway 1912 is an absolutely fantastic book. Perhaps the most jarring and unsightly feature of the park today is the proliferation of signs and advertising, which make it nearly impossible to find a place to rest the eye without being visually bombarded by corporate messages. That in combination with a relentless barrage of music and audio messages, has utterly changed the emotional experience of attending a game at Fenway Park. The end result is, rather ironically, that today's Fenway Park shares more in common with the retro parks designed to mimic it than with itself. That type of change and conformity is inevitable, I suppose, but it would be wonderful if the Red Sox decided, in this upcoming anniversary season, to scale back the noise for all home games to, if not 1912 levels, then perhaps back to 1982. It is the game - and the park - that we go to experience, after all. National League MVP Ryan Braun, who last season led the Milwaukee Brewers to their first division title in nearly three decades, has tested positive for a performance-enhancing drug and faces a 50-game suspension if the initial finding is upheld, two sources familiar with the case told "Outside the Lines." 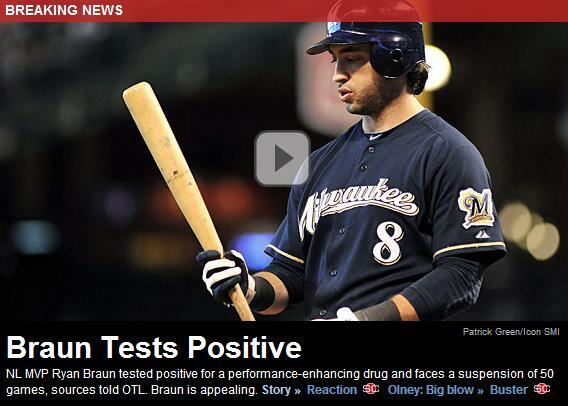 Major League Baseball has not announced the positive test because Braun is disputing the result through arbitration. A spokesman for Braun issued a statement Saturday: "There are highly unusual circumstances surrounding this case which will support Ryan's complete innocence and demonstrate there was absolutely no intentional violation of the program. While Ryan has impeccable character and no previous history, unfortunately, because of the process we have to maintain confidentiality and are not able to discuss it any further, but we are confident he will ultimately be exonerated." Daniel Bard has said he would rather be a starter pitcher and he may get his wish in 2012. Bobby Valentine said on Saturday that Bard, who was believed to be a shoo-in for the closer's spot after Jonathan Papelbon left for Philadelphia, will be stretched out like a starter in Fort Myers. He's going to be penciled in to be one of those guys who works going from his bullpen to pitching two innings to pitching four innings to pitching six innings. Whenever we get to that plateau, with the pitching coach I'll hopefully have by my side soon, and all the members of the staff and front office. We'll have to make a determination after that 18-20 inning mark as to where he will be during the season. I told him to prepare to be a starter and if that, in fact, does not happen to be ready and willing to be our closer. Valentine also clarified what he meant when he said he "hated" the Yankees. Part of my history is that I tried to share the city as the New York Mets manager with the New York Yankees. You can imagine what that's like. And now, I have to fight them for the top of the American League East. I don't know, maybe the H-word is too tough. They made me miserable many a night and I hope to make them miserable many a night. 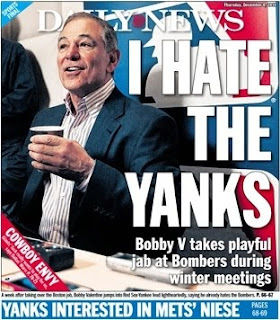 Valentine Joins The Club: "I Hate The Yankees"
Bobby Valentine talks the talk: "I hate the Yankees. I don't want to waste this valuable time talking about the Yankees. ... I told Joe Girardi I used to love them and now I hate them." Valentine has spoken to Josh Beckett: "I'm not going to say anything other than after he got through telling me how pissed off he was [that I criticized him on ESPN last year], we had a really good conversation." The Red Sox have signed left-handed reliever Jesse Carlson, 30, who has pitched three seasons with Toronto. ... Brad Arnsberg, former pitching coach with the Marlins (when Beckett was with Florida), Blue Jays, and Astros, was interviewed by the Red Sox on Thursday. ... DeMarlo Hale is now the Orioles' third base coach. ... Erik Bedard signed with the Pirates. Abert Pujols has agreed to a ten-year contract with the Los Angeles Angels, worth at least $250 million. The Angels also signed pitcher C.J. Wilson (5/77.5). Update: Ortiz has accepted arbitration. According to Joe McDonald of ESPNBoston, the Red Sox have offered David Ortiz a two-year deal worth $18 million. Ortiz is seeking 2/25 (so much for that four-year security blanket). A Red Sox source says "one way or another" Ortiz will be in a Boston uniform in 2012. So - agree on 2/22 before his arbitration decision tomorrow at midnight and call it done. Terry Francona, two-time World Champion manager of the Boston Red Sox, has joined ESPN in a multiplatform role which will include serving as an analyst for Sunday Night Baseball, the network's exclusive national game of the week. Francona will join Dan Shulman and Orel Hershiser in the Sunday Night Baseball booth, replacing current Red Sox manager and former ESPN analyst Bobby Valentine. He will make his ESPN debut tonight, Dec. 5, on SportsCenter and Baseball Tonight from the Winter Meetings in Dallas. Francona managed the Red Sox for eight seasons (2004-11), leading the team to a pair of World Series championships (2004; 2007) and a record of 744-552. [But] it would be unfair and inaccurate to portray Valentine as always getting himself involved just for the sake of getting himself involved. His bullpen usage has generally been fairly normal. He's fairly average when it comes to issuing intentional walks. Also, he prefers to play for the big inning rather than one run at a time. He calls for sacrifice hits and calls on his runners to steal about as often as most managers do. The best tool I know for evaluating managers came from a friend named Phil Birnbaum. He created two algorithms, one for hitters and the other for pitchers , designed to see how well a player under/overperformed in a given season. ... When applied to managers, it's a handy way of seeing who got the most or least out of the talent at hand. ... In short, the results make sense and pass the smell test. Is it a good hire? It should be. Valentine always had a reputation as a good manager. People often find him to be arrogant and cocky, but no one has ever called him stupid. Also: Randall Brown's five-part series - "Blood and Base Ball" - about the game during the Civil War: 1, 2, 3, 4, 5. 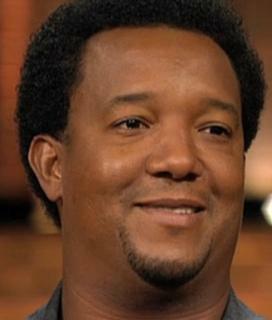 Pedro Will Announce Retirement: "I Want To Throw A Party"
More than two years after he threw his last major league pitch, Pedro Martinez says he will announce his retirement. "I'm going to do it. But I want to throw a party too. I want to make it part of every place that I'm going to be remembered and loved by the fans. I'm going to start by doing something in the Dominican, officially signing the papers, probably coming back to Boston and getting something going with you guys." Martinez, now 40, last pitched for the Phillies in Game 6 of the 2009 World Series. He was speaking today at a holiday toy drive in Bedford, Massachusetts. "It was after I didn't play for one year and I was able to garden again with my mom and be with my boys and go to baseball games. I got attached, I got attached to that kind of life. Being at home, being able to sit on my boat and not worry about tomorrow. It was really what made me lean towards not coming back. "I still feel the little itch to go and compete. Actually seeing the Red Sox this winter, before they were disqualified, I saw so many holes that I could probably fill while watching those games. It makes me want to go, but the other part of me says, 'No'." When you are picking party spots, n'oubliez pas Montreal, Pedro! "I publicly challenge Bobby Valentine to join me on the building. Landmark Square, first week of December. Be there. 2012." 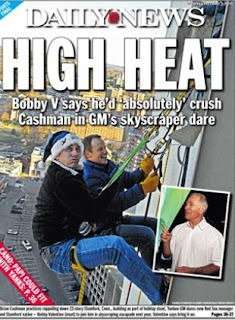 Cashman was referring to rappelling down the side of the 22-story Landmark building in Stamford, Connecticut, as part of the city's "Heights and Lights" celebration. Valentine was enjoying a bottle of El Presidente with David Ortiz in the Dominican Republic on Friday evening when he got wind of Cashman's bravado. Valentine laughed, and said he would crush Cashman. "Anytime, anywhere. If he wants to challenge me at eating pancakes, he can. ... Just to make it fair, I should rappel up as he rappels down. That'll be an even race." Valentine, who is Stamford's public safety director, will not be in attendance when Cashman (dressed as an elf) rappels down the building tomorrow: "I've seen that act before. My firemen will be there with the nets just in case something happens, even though there's a lot of Boston fans who think that we should go without the nets." 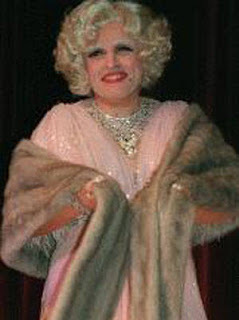 Larry Luchhino said yesterday that he doesn't mind if Valentine "pokes the bear and stokes the fire". It sounds like the new manager got the message. Free agent DH David Ortiz mentioned the contracts that Adam Dunn (White Sox 4/56) and Victor Martinez (Tigers, 4/50) signed last winter as the type of long-term security he would like from the Red Sox. "Those guys are DHs like I am, let's be honest. To be honest with you, look at what I did. I don't think I can put myself out of that group. ... Do I have to explain what I'm capable of doing? Everybody already knows. I'm not even going to go there. We just need to get into an agreement and when that happens, it's game on. Everybody knows what it would take for me to stick around. Hopefully, [the Red Sox] agree with that." There is the matter of age, however. Both Dunn and Martinez were 31 years old when they got those deals. Flo is 36 - though he led all DHs last season with a .953 OPS (nearly 100 points higher than #2 Michael young). Ortiz has reportedly received multiple offers already. The Orioles - who signed 36-year-old DH Vladimir Guerrero to a 1/8 deal last year - and Blue Jays reportedly have an interest in Ortiz. While Ortiz is simply establishing a bargaining position, things could still get "interesting", as I don't see any way Boston goes more than two years. Ortiz has until Wednesday night at midnight to accept or reject the club's offer of arbitration. I've said more than a thousand times that I would like to come back to Boston. If that doesn't work, I need to see what is out there. ... We can be dangerous again. We're capable of great things on the field. I'm not part of it right now, but I want to be. The great trouble with baseball today is that most of the players are in the game for the money and that's it. Not for the love of it, the excitement of it, the thrill of it. There was a time when the National League stood for integrity and fair dealing; today it stands for dollars and cents. David Ortiz spent some time recently at Boston's Animal Rescue League, reminding people to adopt pets from shelters. They begin getting familiar real fast. People, don't be afraid to take them home. They need a home. The ARL, founded in 1899, adopts out about 3,500 pets each year. Valentine on Sabermetrics: "It's The Most Exciting Growth Period That I'll Ever Be In"
Bobby Valentine has seen The Rivalry up close for decades. He grew up in Stamford, Connecticut, and recalls going to a Yankees/Red Sox doubleheader at Fenway as a boy with his father (Yankee fan) and his uncle (Red Sox fan). I'm really excited. Six times during the season [as manager of the Mets] is a little different than 18 times during the season. ... What I enjoyed most the last couple of years at ESPN was those games, because the players take them so seriously. I think we're going to be able to match them. It might not be the best team that wins, but the team that plays the best. ... I can't imagine 18 [games]. Is it like playing 50 games? I think it is. Larry Lucchino admitted that having Valentine in the Boston dugout "does add a little bit of kerosene to the fire" of the AL East rivalry. Valentine agreed to a two-year deal, with options for two more, and is the 45th manager in team history. At the beginning of his press conference yesterday, he seemed overwhelmed, maybe even near tears of joy. Did I dream about this situation? Absolutely. Did I wake up and put water on that face whenever I had that dream and say, "Hey, come on, get back to thinking about a new fire chief [for Stamford]?" Yes I did. I'm a realist. I saw the game as it was changing and I saw it obviously getting younger and different. I didn't know that I could ever fit in. But maybe I'm going to fit in. the right man at the right time for this particular team. We're set to win, we should've won last year. We're built to win. We thought, in the end, that Bobby was the person most capable of taking us to where we want to go in 2012 and 2013. We're not at a point right now where we're building for the future. We are trying to win now. I'm very confident that we found the right person in Bobby Valentine. When I started this process, I said we were looking for someone who cared about players, who had a strong voice, who was willing to have difficult conversations with players, who could collaborate with the front office and ownership ... someone who has a passion for the game, someone who's open-minded and someone who wants to win. Based on those criteria, I believe we found the right person in Bobby Valentine. After the press conference, Valentine sat down with ESPN's Karl Ravech. Ravech: "Where were you when you found out this job was actually going to be offered to you?" Valentine: "I was laying in a bed in Japan. It took one phone call and about 20 minutes to call back and say 'Thank you I accept.'" Ravech: "What were you thinking about for 20 minutes?" Valentine: "I had to ask my wife what she thought." Ravech: "And if your wife said 'I'm not sure'?" Valentine: "I would have said 'OK, well, see you later, I'm doing it anyway." Valentine will wear #25, formerly worn by Tony Conigliaro and Mike Lowell. Valentine and Conigliaro roomed together "for a few days" in spring training in 1976, and he wants to get the blessing of the family. He left a voice mail for Lowell, who asked "if I went to his sports bar maybe I could get some free chicken wings." That's not likely. I think it's the most exciting growth period that I'll ever be in, to be able to experience new information and advanced metrics in my daily workplace. Now when I was in Texas, we had a sabermetrician, if you will, on staff - Craig Wright, who was a wonderfully talented Bill James disciple, actually. But at the time, I wasn't ready for it nor was, I think, the world of baseball, to actually make the numbers applicable to the day-to-day managing of the game. I tried to continue the concept through New York and in Japan, but one of the exciting parts of this situation is that I know information is available to me. And that information has to get in, it has to be digested with the other information that I get from my ears and my eyes and my experience. And hopefully, it's going to be able to regurgitate some pretty good results. But it's exciting. I think it's an every day process and I think it's going to be a learning process for me. "Only" a little more than two months to Truck Day! Bobby Valentine will hold his first press conference as manager of the Boston Red Sox this evening. The team will formally announce the hiring at 5:30. ESPN will cover it, and Redsox.com will likely have a live feed. Just excited to have a manager. It took a while. ...[N]ow we can get ready for next year. ... He's been around. He's done it before and in a big market. It's going to be fun. ... I've got a lot of built-up stuff inside me to prove to everybody that we're going to be a great team in the future. I think you have to create some kind of fear. You have to fear somebody when you play this game. The best approach is to treat men like men ... There are some situations that need to be tightened up, whether that's the conditioning situation, whether that's the eyes in the clubhouse situation. This one was just a stunning one for me. I didn't see the fit. Personality-wise, Bobby's a different bird. ... He's a smart guy. I had a chance to work with him this year at ESPN. He's got some very interesting takes on managing. ... We all know that Boston is different than every place else. ... I think Bobby is equipped to handle it. He's done it in New York. ... 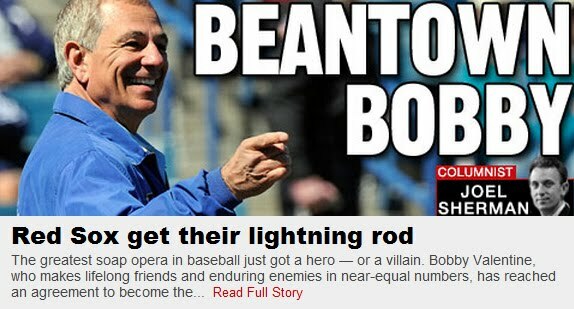 I don't mean this in a disrespectful way but it's going to come out that way, I thought someone was kidding when they first announced this, that he was being interviewed, because again, when I think back to the mandate and what the initiative might have been to change around at the end of last year and maybe going forward, Bobby Valentine is not the guy that I thought that this ownership group would be advocating for. When I was with the Knicks a thousand years ago, I got to know [Valentine] a little bit. We lived in the same town in Stamford. I ate at Bobby V's quite a bit. I can tell you, he doesn't comp. ... I had to pay. As Valentine emerged as a managerial candidate, some Red Sox players have been upset; they've been grumbling to each other, through texts and phone calls. Maybe it's because they heard Bobby critique their play on the air. Maybe they haven't liked his tone. Maybe they haven't liked his smile. Maybe they've heard bad things. And the fact is they had no power to do anything about it, because the September collapse completely undercut the credibility of the Red Sox players. If one of them had called the front office to register concerns about Valentine, they might've heard laughter on the other end of the line. 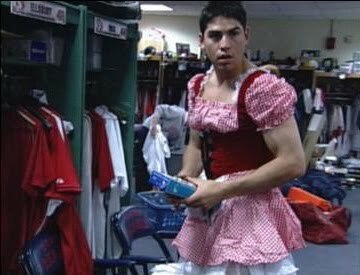 The Boston players had complete control of the clubhouse in 2011, and we know what happened. Buster's blog is behind a pay wall, so I cannot read the entire column. Quote Note (my emphasis): Rob Parker (ESPN) calls the hiring of Valentine "the biggest overreaction in the history of baseball. ... 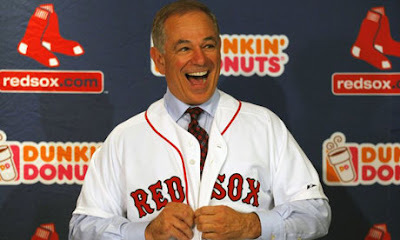 Even with Bobby Valentine they will not make the playoffs because their pitching is not good enough."